The Boston Symphony Orchestra, Inc. (BSO) gave its inaugural concert on October 22, 1881 and has continued to delight music lovers for over 130 seasons. Through six different components—the Boston Symphony, the Boston Pops, Tanglewood, the Tanglewood Music Center, the Tanglewood Festival Chorus, and Symphony Hall—the organization brings music into the lives of millions of people every year. Today they present more than 250 concerts annually, with an operating budget in excess of $80M. 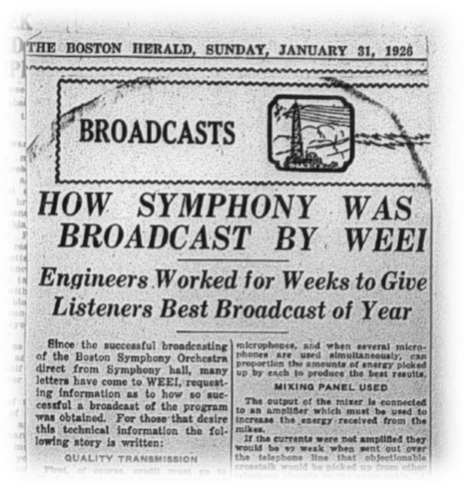 In addition to performing, the BSO, a member of the Library Consortium in Massachusetts, maintains a dynamic archives department responsible for collecting, preserving, and providing access to materials in a variety of formats that document the history of the BSO and its many facets. The collection contains printed concert programs, press clippings, posters, photographs, administrative files, musical scores, architectural files, commercially released recordings, and an extensive collection of live concert recordings. Archives staff answers reference inquiries via telephone and e-mail. Additionally, the BSO Archives reading room is also open to researchers on an appointment basis. As word spreads about the depth of the BSO’s archival holdings, the volume of research requests continues to grow. allowed access to some of this material. The archaic device was bulky and unable to provide output to modern formats. It was breaking down more frequently and getting more expensive to repair. In addition, consumable costs (such as toner) for the device were increasing. The scanning device they use to scan prints is cumbersome to use and very slow. The staff wanted to increase access—and access speed—to the content, and reduce ongoing support costs. They also wanted to provide a wider array of options for exporting material, beyond printing. The BSO team worked with BizTech Solutions who provided pre-sales expertise to assist them in defining requirements and understanding currently available technology in the micrographic marketplace. Because of BizTech’s participation in the Commonwealth’s statewide contract (OFF-27), they were able to provide competitive pricing for the new equipment. 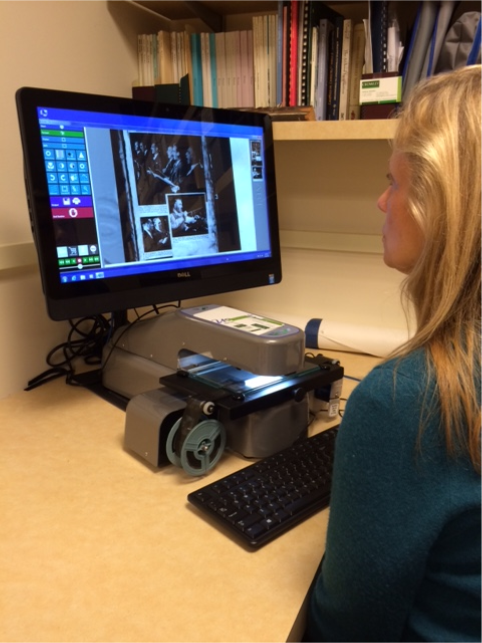 The BSO team ultimately selected the UScan+ Universal Film Scanner from Wicks and Wilson to handle the archive access. The UScan+ features simple touchscreen commands, excellent image quality, fast rewind, adjustable roller guides to secure and protect film, instant motor stop/start for precision and control, and magnetic 16/35mm film platen positioning for best image viewing/scanning. BSO archives staff absolutely love the new device. It enables them to easily peruse the contents of the old scrapbooks that were microfilmed in the early 1990s and simply digitize content, and then to send the digitized content to patrons via e-mail. And they aren’t limited to sending entire pages or frames of film; the UScan+ enables them to select only the area they want to reproduce. In response to one interesting research inquiry, archives staff was asked to find and share newspaper articles documenting the November 1959 visit to Boston by a group of Soviet composers led by Dmitri Shostakovich. The UScan+ made it simple for archives staff to retrieve and share this content. With walk-up capability, sturdy construction, and a user-friendly interface, the UScan+ allows access by more people within and outside of the small research operation. In addition, the product’s features such as “learn as you go” auto focus and one-button instant capture have sped up image access and review. The UScan+ allows on-demand multi-format scanning, of not only the BSO roll film but also 35mm slides, 35mm original negatives, and 4” x 5” copy negatives cards via an icon-driven touch-screen interface. This allows access to additional content including original musical scores, original negatives and photo archives. The Rapid Scan feature provides fully motorized film advance and frame detection to enhance batch scanning. The UScan+ provides the ability to not only view and print this historical information, but also to digitize and save the content. The digitized content can be saved to a local USB or flash drive; printed to hard copy; or output to cloud, CD/DVD, and email—all in in color, grayscale or bi-tonal. The BSO’s setup also includes searchable text capability (via OCR) and annotation output option as part of their solution.